You attempt to change a burnt out light bulb and the bulb comes out, but the light bulbs threaded base gets stuck in the light socket. What do you do? Don’t panic, this can be fixed in a matter of minutes. First of all, DO NOT USE A POTATO! Some websites with limited knowledge will tell you to use a potato. A potato actually has corroding properties that when rubbed all over a light fixture, can cause corrosion in the long run. Also pieces of the spud can get lodged in the socket leading to more work then with just a stuck socket. So…. don’t use anything “edible” as a tool! The first thing you need to do is TURN OFF POWER TO THE LIGHT FIXTURE. If the broken bulb is in something like a bathroom vanity light, you can simply turn the light switch to the off position located on the wall. If the broken light bulb is on a lamp, then simply unplug it. If the broken light bulb is on or in your oven, then turn the circuit breaker off on the wall to be positive the power is off. Once you are sure the power is off, get a flashlight, leather gloves, and eye protection. Shine the flashlight on the broken bulb base and attempt to turn it using your fingers COUNTER-CLOCKWISE. If it will not turn, get a needle-nose pliers and grab the edge of the socket and turn counter clockwise. Either one of these 2 procedures will work. 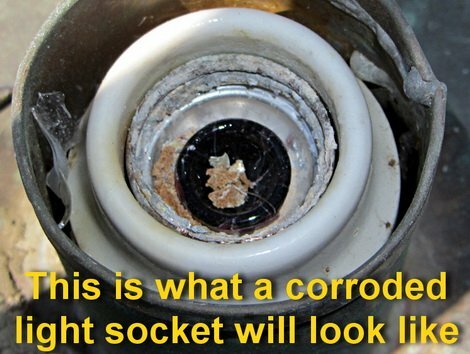 Once the broken bulb socket is removed then it is best to clean the light socket with a clean dry cloth. This is to clean and remove anything that is on the inner threads of the socket so the next bulb that burns out doesn’t get stuck in the future. You can use steel wool on the threads if there is corrosion present. If you do this then use a clean dry cloth to wipe away any pieces that the steel wool may have left. 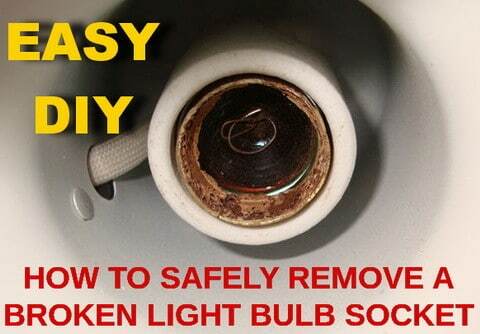 Once the socket is ultra clean and dry, go ahead and screw your new light bulb into the socket. Then test the light by turning the switch on and you are finished. procedures above, there is a tool you can buy to make things easier and safer. 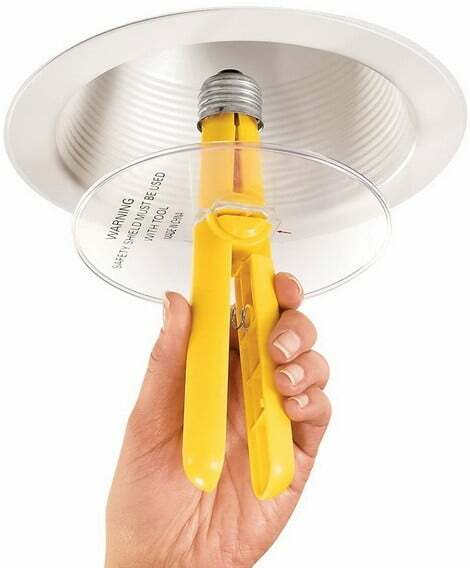 This light socket removal tool is under 10 bucks and available online.